A native of Oakland, CA, Dawn Monique Williams is a resident artist at the Oregon Shakespeare Festival where she directed MERRY WIVES OF WINDSOR in 2017. Dawn, a 2016 Princess Grace Theatre Fellowship recipient, is a poet, author, and scholar whose recent directing credits include ROMEO AND JULIET, August Wilson’s THE PIANO LESSON, and Lynn Nottage’s BY THE WAY, MEET STARK. She’s directed a range of plays including the English language premiere of Gracia Morales’ NN12, OTHELLO, TWELFTH NIGHT, IN THE BLOOD, STEEL MAGNOLIAS, CHILDREN OF EDEN, THE 25TH ANNUAL SPELLING BEE, LITTLE SHOP OF HORRORS, BURIAL AT THEBES, MEDEA, ANTIGONE PROJECT, and LA RONDE; international directing credits include Edinburgh Festival Fringe productions of SCAPIN THE CHEAT, ANNA BELLA EEMA, and THE TEMPEST. 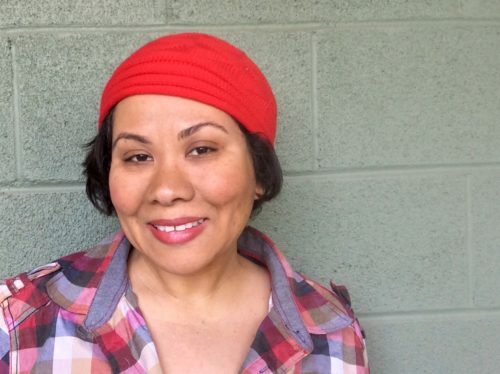 Dawn who frequently lectures on contemporary Shakespeare performance and African American Theatre History was awarded a TCG Leadership U residency grant, funded by the Mellon Foundation, and is a former Killian Directing Fellow at the Oregon Shakespeare Festival. She is an alum of the Drama League Directors Project and holds an MA in Dramatic Literature and an MFA in Directing. Dawn is a proud member of the Stage Directors and Choreographers Society.